shipped 10 New York on the Scanstates in November 1930. It was immediately sent to the Army Proving Grounds at Aberdeen, Md. There the tests to determine reliability met with negative results and the Danish firm was notified that the teed was not functioning satisfactorily. The low rate of fire, combined with the failure of the feed, made the Ordnance Department feel it could produce or find a more suitable weapon for aircraft use, and all interest in this country-stopped. The cannon was sent to Wright Field by the Army for study and eventually the other guns passed inspection and were delivered. Two of the guns were given to the Navy, which fired them at the Naval Proving Ground at Dahlgren, Va., with little satisfaction. 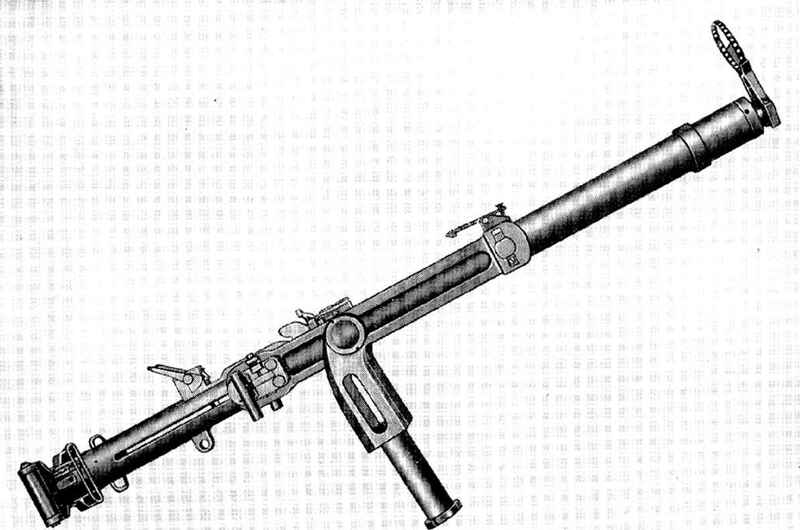 The French Air Ministry purchased a few 23-mm Madsens in early 1938 and according to its report the feed system had been improved and the operation as a whole was reliable. The Chilean Government ordered 20 of the weapons the same year to put in the wings of its Italian-made (Breda) airplanes. Even with the improved reliability of action, installation in planes was discouraged by the low rate of fire inherent with all automatic weapons that employed such a long delay during the operation of the feed. The action was so slowed by this system that to get a substantial rate of fire was an engineering impossibility. As there were so many other cannon by this time that gave both reliability and high cyclic rate, the Madsen dropped out as a serious contender as far as aircraft armament was concerned. On this model there was fastened to the barrel jacket at the forward end a combination muzzle brake and device to trap the blast after the projectile cleared the bore. This was done by a controlled orifice that permitted the projectile to clear along with some of the still-expanding gases. 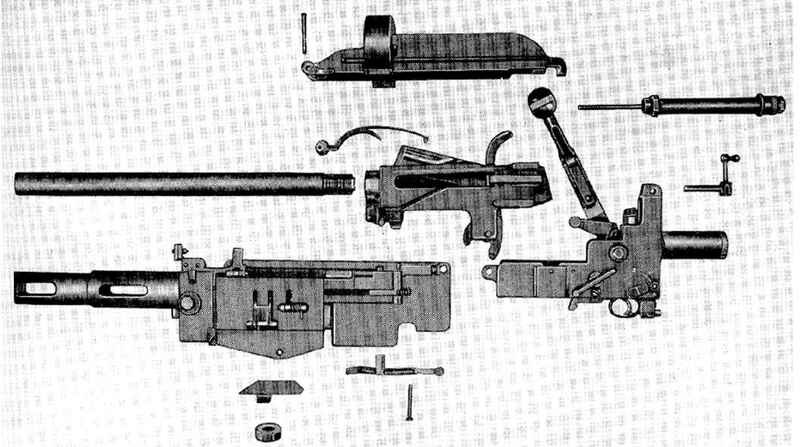 The remainder acted on the face of the barrel somewhat on the order of a piston, accelerating the recoil forces and resulting in an increased rate of fire plus an added amount of belt pull. Component of the Madsen 23-rnrn Automatic Aircraft Cannon.